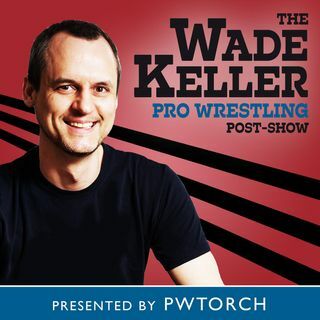 PWTorch editor Wade Keller is joined by PWTorch Impact TV reporter and PWTorch Livecast host Mike McMahon as they discuss WWE Smackdown with a focus on the final WWE Backlash hype along with our on-site correspondent from Montreal, live callers and emails, including some "Wrestlers as Neighbors" emails. Also, evaluating TNA wrestler usage in WWE - Bobby Lashley, Bobby Roode, Drew McIntyre, Samoa Joe, and A.J. Styles and more Impact talk including the TNA Mount Rushmore. Then close ... Maggiori informazioni with a bonus show at the end featuring last year's WWE Backlash Post-PPV Roundtable Podcast which was VIP exclusive.